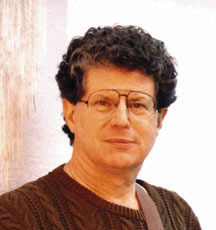 On May Day 2010, nine days after his 66th birthday, Si Kahn retired from his position as Grassroots Leadership’s Founder and Executive Director. Strictly Country Records released Si’s 16th CD, Courage, featuring the superb production and playing of Jens Krüger of the Krüger Brothers, with harmonies and liner notes by country music legend Kathy Mattea. which was recognized as the #1 CD, and Si as Number 1 played folk artist for May and June 2010 by the Richard Gillmann Folk-DJ list survey, which measures international airplay. Berrett-Koehler, the San Francisco publishing house, simultaneously issued Si’s new book, Creative Community Organizing, based on his 45 years as a community, civil rights and labor organizer. Please reviews in the current Occasional. Near Union Grove, NC North of Statesville, NC. The Cook Shack. Located on Hwy 901, 2 miles west of I-77, Exit 65. $16. Reservations recommended. E-mail the Cook Shack for more information or to make reservations. New City, New York. A whole day of Si's songs about working people, labor struggles, migrants and immigrants sung by 23+ other artists and Si. Free admission for the this day-time picnic hosted by the Borderline Folk Club at the New City Volunteer Ambulance Corps, 200-Congers Road. RSVP necessary at 845-354.4586. Lawrence, MA The Brad and Roses Festival celebrating the 100th anniversary of the 1912 Bread and Roses strike. www.breadandrosescentennial.org. Details later. State College, PA Si headlines a concert celebrating Woody Guthrie's Centenary at the State Theatre of Pennsylvania, 8:00pm. Tickets will be on sale starting Thursday, July 5, 2012. Contact us about priority seating for groups of 15+ in the meantime! Asheville, NC Blue Mountain House Concert Series. $15.00 Please e-mail rpmjosh@aol.com if you are interested.